Market research, especially in a city such as Cardiff which is continuously growing and thriving thanks to economic advancements, is one of the most important aspects of presenting a product to the general public or a certain niche. Through market research in Cardiff, you’re able to identify the “pain-points” of the consumers searching for your product and in turn offer a viable solution to allow their lives to become easier and more efficient. Read on to learn how with the help of Swanson Reed, you may be able to qualify for certain research and development tax credits for your market research activities and be able to offset tax liabilities which will in turn allow you to reinvest into your company or organization. A true “win-win” for everyone involved. Market research is of the utmost importance due to the fact you’ll never want to enter a new market territory without properly understanding the consumer themselves. When research is performed properly, it can lead to exponential growth for your business or organization. For this reason, and many more, it’s vital to encourage all qualifying staff members to perform thorough research which will benefit the company, the consumer, and society as a whole. R&D tax credits can help you further offset tax liabilities when your activities are deemed to be “qualifying”. This will in turn improve profitability. Market research in Cardiff can improve your Cardiff-based company by leaps and bounds in some scenarios. Without profitability, the company or organization you’re involved with will eventually go under. Market research can prevent this from happening. Choosing to engage in the proper R&D activities for your product and/or service will increase the chances of it being a true success. 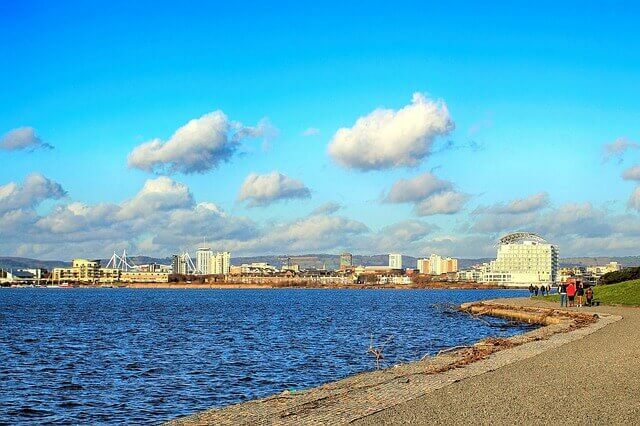 As the economy progresses in the greater Cardiff area, it will be that much more difficult to accomplish goals, yet that much more rewarding when you do succeed thanks to market research. When selecting a tax advisory firm to analyze your qualifying activities and produce your best tax year yet from an R&D tax credit perspective, Swanson Reed is the right choice. We have an excellent team of highly-qualified tax advisors who want to help you and your company grow exponentially. Feel free to contact us to learn more about our services and why we’re one of the best when it comes to helping our clients locate the most tax credits possible. We look forward to hearing from you soon!